Can your Team Solve the Murder Mystery? Ever wanted to be a detective or fancied becoming the next Sherlock Holmes? For a team building activity with a difference, why not try your hand at a murder mystery night in Glasgow, Edinburgh, or further afield? Become a detective for the evening and have a great night of fun working with your team to solve the murder mystery set out to you by our experienced members of staff. 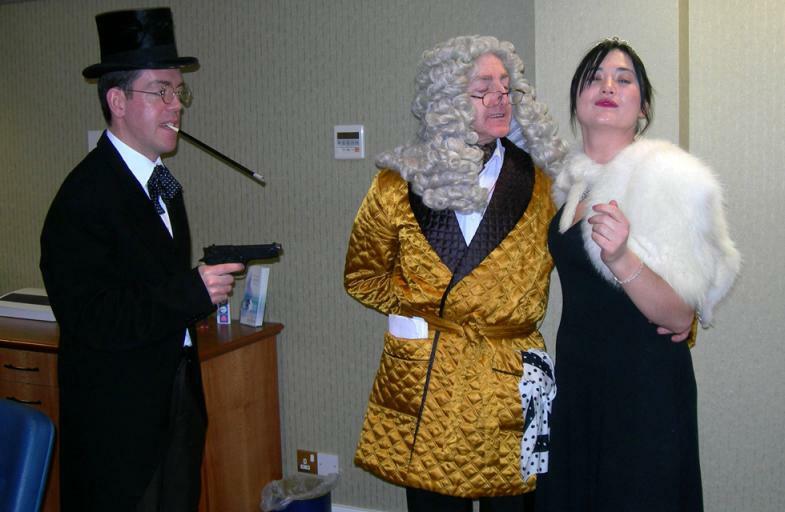 Murder mystery nights are the ideal way to incorporate an element of fun and informality into the classic team building event. Take a break from the usual activities and opt for something a little different to add a twist of intrigue into your next team building day. Our murder mystery nights are the perfect way to get your team to start working together effectively. Allow team members to bond and make friendships, developing skills that will come into play within the usual office environment and will help to create a more effective and productive atmosphere within the team. Team building events such as this also help to boost motivation and increase positivity within the workplace. With the availability of specific themed murder mystery evenings, why not go the extra mile and make it a real occasion to remember? We have a wide variety of murder mystery scripts to choose from – some of the most popular options include a traditional manor house mystery, a medieval murder, James Bond spoofs or, for a seasonal twist, finding out who killed Santa! A team of expert actors will play the suspects, and it will be down to your employees to investigate the case and work out the identity of the murderer. The murder mystery itself takes place over the course of an evening. Your team remain in character for the duration, ensuring that they take the opportunity to gather clues and interrogate suspects. Throughout the evening and over dinner, it will be up to your team to decide who is guilty and who is innocent. Available in a variety of locations across Edinburgh, Glasgow, and further afield, our murder mystery nights are the perfect way to inject some excitement and intrigue into your team building activities. Allow your team to work together to solve the crime, developing fundamental skills and building relationships as the evening progresses. For more information about our team building services and murder mystery evenings, please get in touch.